Burial will be at Mt. Home Cemetery in Otsego. 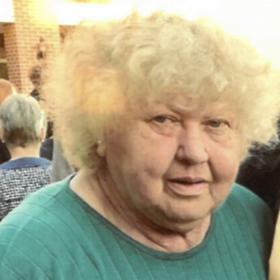 A luncheon will follow the burial at Otsego United Methodist Church (223 E. Allegan St., Otsego, MI 49078). Reflecting on the life of Lucille Lang, words such as hardworking, determined, and compassionate come to mind, yet the word that is most fitting to describe her is selfless. 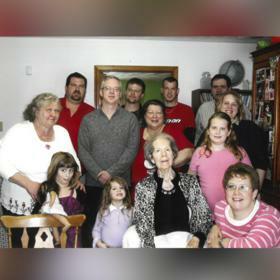 Lucille had a generous heart and loved to gather her family together over the years. A treasure in the kitchen, they grew to count on her for her delicious cherry pies or homemade chocolate cakes at special holidays or get-togethers. Exceptionally generous and caring, Lucille leaves behind a wonderful collection of memories sure to be shared for generations to come. Not much could be said about the 1940s without some reference to WWII. During that same year, Lucille was born to George and Blanche Lang on November 16th in Deckerville, Michigan just twenty-one miles from their home in Charleston. Without a nurse in town, her father drove her mother to the local nursing home during a blizzard to give birth. Joining her two older siblings, her birth brought joy and happiness into their lives. Growing up on the family farm, Lucille was nicknamed, “Shadow” because when she stood alongside her father’s large stature she appeared so much smaller. She and her father were very close during her early years and Lucille enjoyed helping him tend to the farm chores looking after the livestock as well as the agriculture. At the tender age of seven years, Lucille’s mother, Blanche, lost her battle with cancer. With three children left behind, George hired Anna Harrnish to help look after the kids and complete the household duties. There was no way that he could muster up the energy for the farm, his factory job, as well as the kids. It wasn’t long before George remarried Maxine who he met at a local school board meeting. She was working for the State Health Department at the time and was attending to convince the board to purchase toilets for the school. Enamored by her presentation, it was love at first sight! Maxine was later transferred to Centerville. Not fond of the distance between them, they joined in marriage when Lucille was fourteen years old. With the arrival of their son, James, otherwise known as, “Pumpkinhead,” they moved to Mendon to be halfway between her family and George’s family. 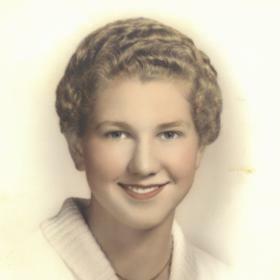 A stellar student, Lucille graduated with the Class of 1962 from Mendon High School where she had been active in 4H. Eager to earn her own spending money, she also did housekeeping for the elderly. Later that year she moved to the Kalamazoo area and became friends with Mr. Schenzel who operated Schenzels Cafeteria. Inspired by her work ethic, he hired her to work in the cafeteria at his Grand Rapids location where she did everything from hostessing to cooking to waiting tables. She was a customer favorite from her time there in 1963 thru 1968. Although it brought in good money, her heart was set on attending beauty school and she became a licensed hairdresser by completing her education at Laparent Beauty School in 1967. Hard to believe, that Lucille worked in the service for more than thirty-eight years! During this time she fulfilled her lifetime dream of owning her own shop for the last eighteen of those years! Not to be forgotten was the meeting of Charles Kinnane whom she married on April 12, 1969. Their marriage lasted twelve years which was just enough time for her to raise her two young boys; Chuck and George into their preteen years. As a mother, she loved nothing more than share in life’s blessings with her boys. She always was up to having fun and never let a single day go for granted. Even through their difficult teen years, she was never afraid to parent them by modeling the tough love that is often required at that stage. She loved to play cards with them and enjoyed making their favorite meal, Sloppy Joes! They were her pride and joy! Shortly after her divorce, she met Jim Nelson, through mutual friends. They had their first date on January 23, 1983, at the Mattawan Truck Stop! 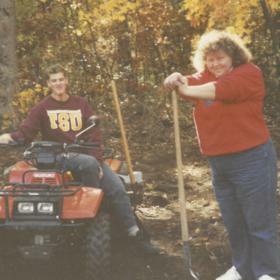 Being twenty years older than her, Jim provided her and the boys the stability they needed. By 1985 he moved in with Lucille and her sons. They had a sincere and deep companionship for one another. Sharing responsibilities around the house as well as entertaining one another, they have enjoyed a unique bond over the years. Lucille held many special interests over the years. She had a real knack for gardening and loved to mix colorful flowers together in her flower beds. If it were up to her, she would’ve made a whole yard of just flowers! Her favorite place was the banks of the creek that ran through the hills of her family farm surrounded by wildflowers. She could often picture it in her mind. A terrific cook, Lucille loved to eat pasta and never passed up an opportunity to go out for dinner! She also was an avid reader and collected more than two hundred cookbooks. For the past 30 years, she had been cutting hair for the Sisters of St. Joseph. She made many lasting relationships with the nuns over the years. As a matter of fact, some of them had been coming to her for more than thirty years! A faithful member of the Catholic Church she treasured attending midnight mass at St. Augustine Cathedral each Christmas Eve. Although she had many special talents and gifts, her greatest source of joy came from her children and grandchildren. Being with her family was her favorite way to spend her time. Described as caring, passionate, and patient, Lucille leaves behind a legacy of living life to the fullest and never taking a single moment for granted. May all who knew and loved her feel blessed to have been loved by such a graceful person. 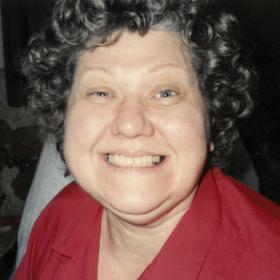 Lucille M. Lang, age 74, of Otsego, Michigan died on April 11, 2019, in Kalamazoo. Lucille was preceded in death by her parents; step-mother, Maxine Lang; partner, Jim Nelson; sister-in-law, Helen Lang; nephew, Keith Lang, and brother-in-law, Darrel Fieselman. Surviving are two sons: Chuck (Tera) Kinnane and George (Tyler) Kinnane; six granddaughters: Madison, Kennedy, McKinley, Kaylynn, Ariana and Brandi; grandson, Steve; three siblings: John Lang, Jim (Marcia) Lang and Rosemary Fieselman; Jim Nelson’s children: Bud (Liz) Nelson, Deb (Tom) Smalla and Victoria Chenelle; special friend, Tim Smith; many nieces and nephews; Congregation of Sisters of St. Joseph and her faithful companion, “Binky.” Visit with family and friends on Sunday from 4-6PM at the Betzler Life Story Funeral Home (6080 Stadium Drive, Kalamazoo, MI 49009 (269) 375-2900) where services will be held Monday 10 AM with visitation beginning at 9 AM. Burial at Mt. Home Cemetery, Otsego followed by a lunch at Otsego United Methodist Church. Please visit Lucille’s personal memory page at www.betzlerfuneralhome.com where you can archive a favorite memory or photo and sign her guestbook. Memorial Contributions may be to Sisters of St. Joseph.